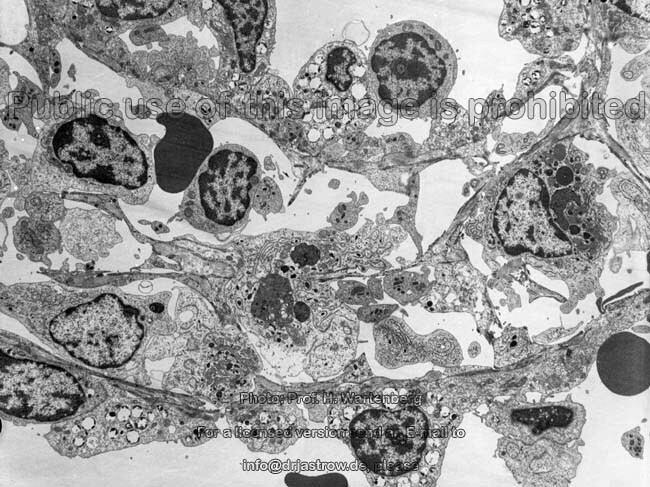 The spleen (Terminologia anatomica: Lien or Splen) is a lymphoreticular organ. 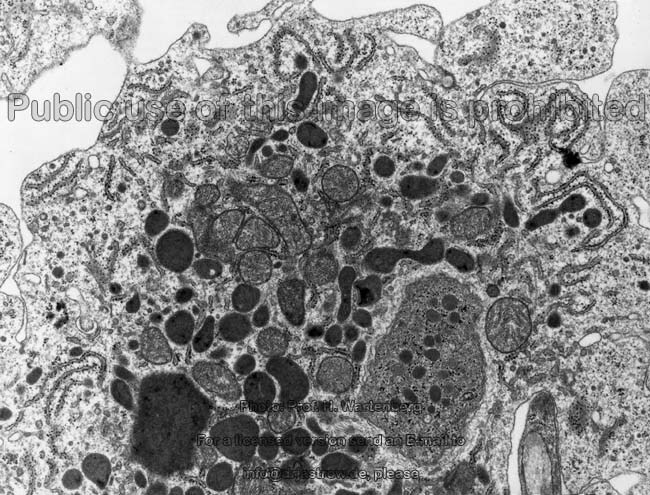 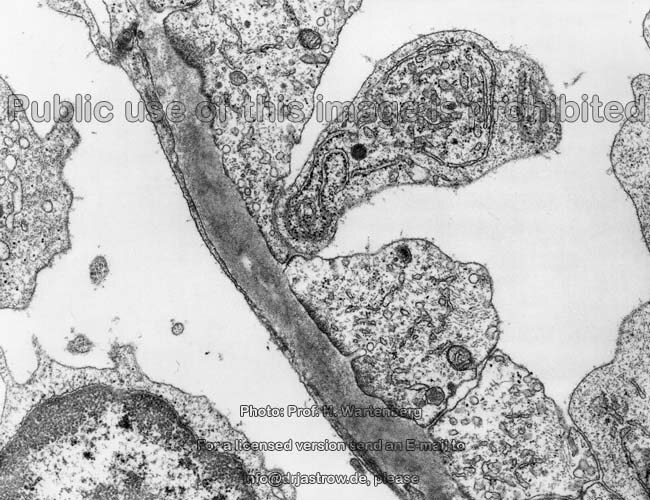 In contrast to lymph nodes no marginal sinus is present under the capsule of the spleen which has a Tunica serosa (corresponding the squamous, monolayered epithelium of the peritoneum) and deeper a Tunica fibrosa (0,1 mm thick layer of tight connective tissue). 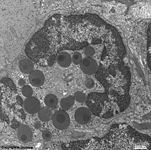 Many trabecles (tight connective tissue carrying larger trabecular arteries and veins) lead from the capsule into the parenchyme of the spleen. 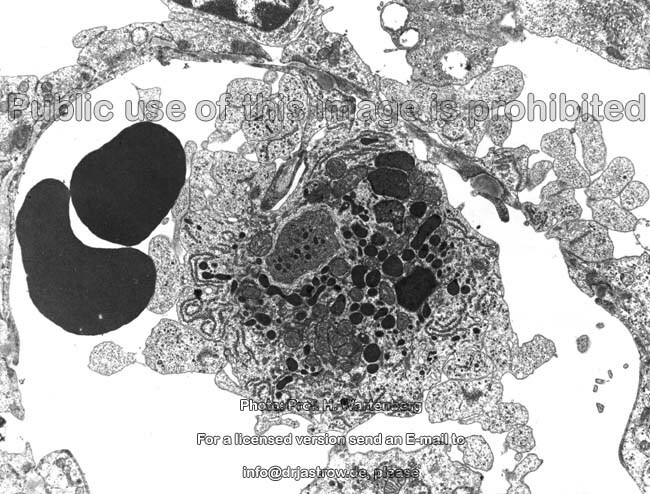 The white pulp consists of lymphoreticular sheaths of arteriols and spleen follicles that comprise lymph follicles distributed throughout the organ. 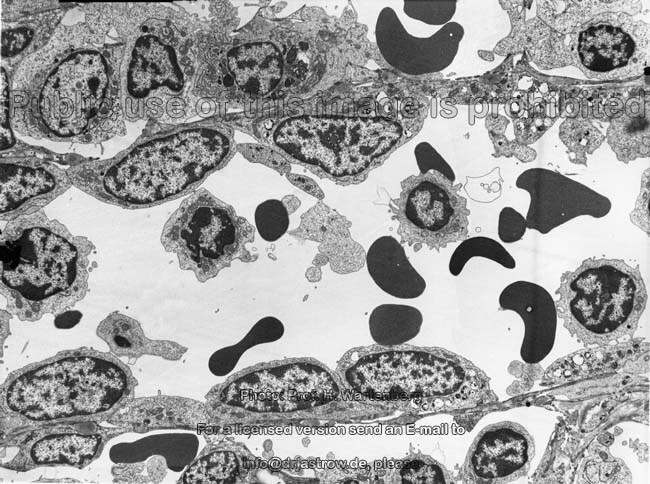 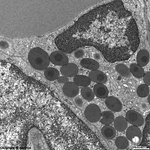 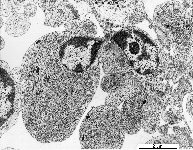 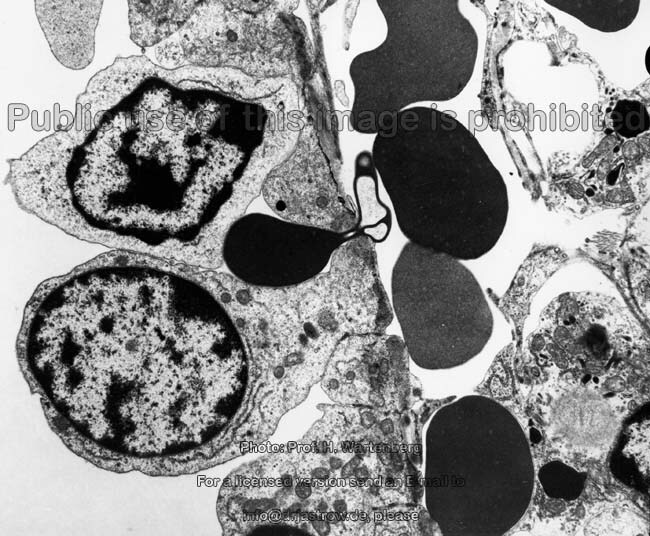 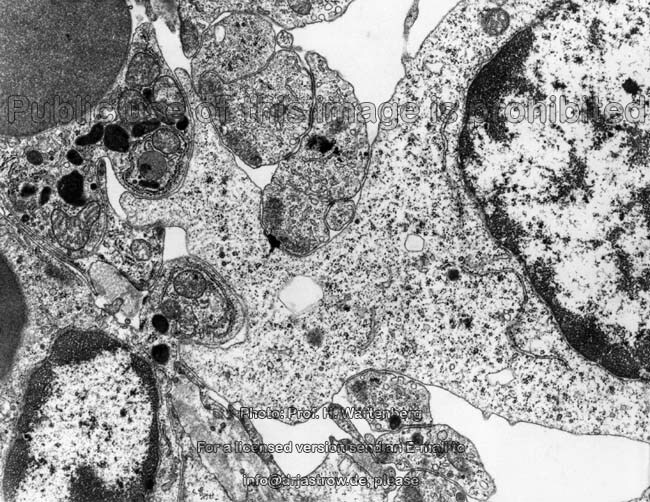 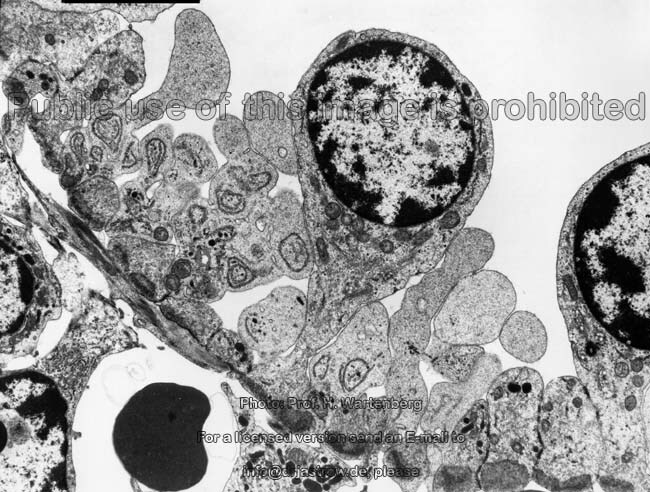 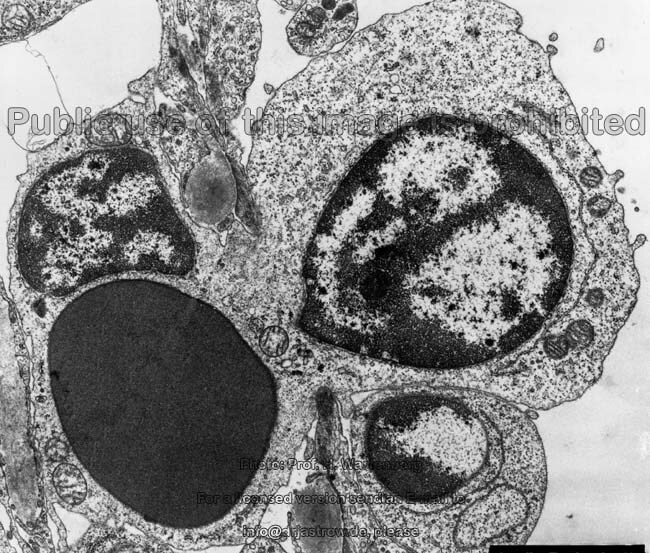 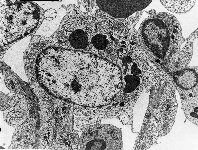 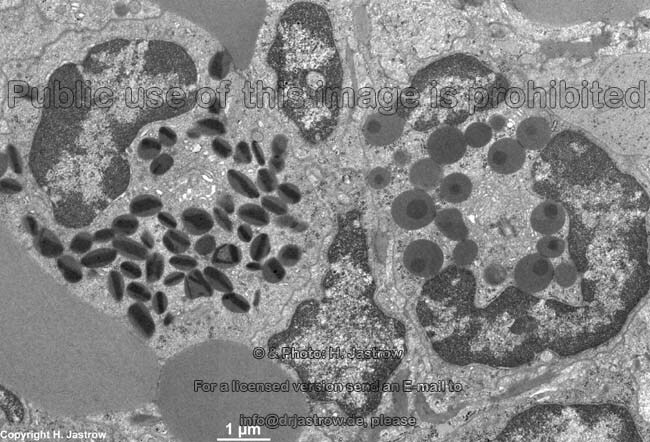 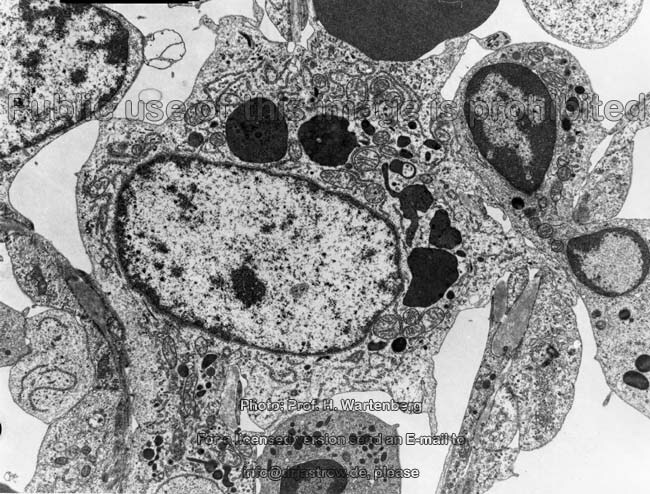 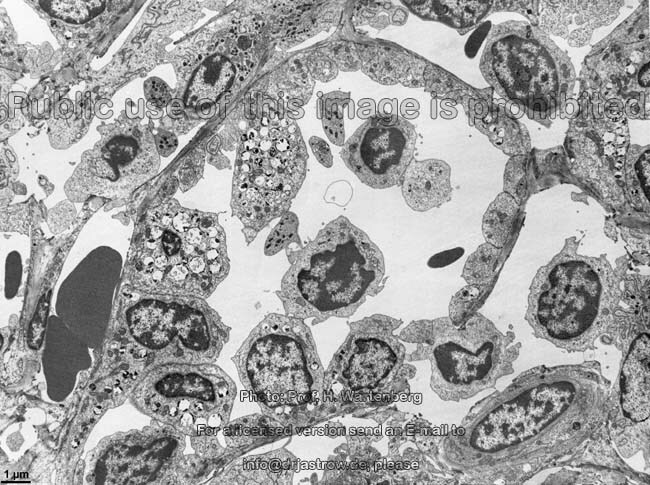 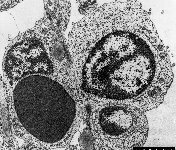 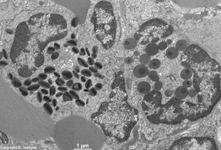 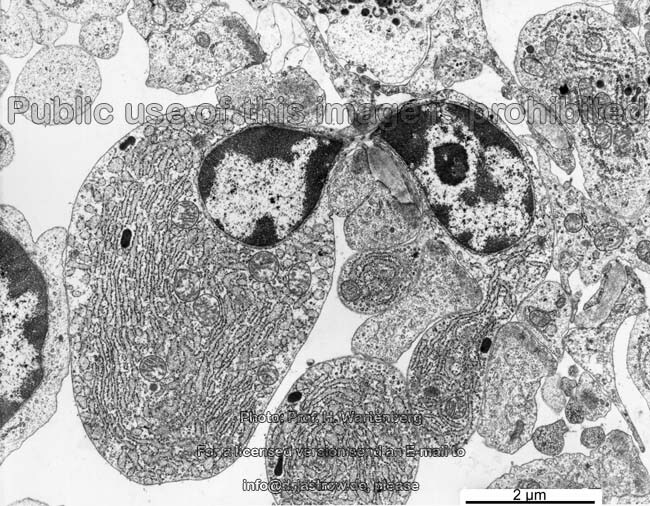 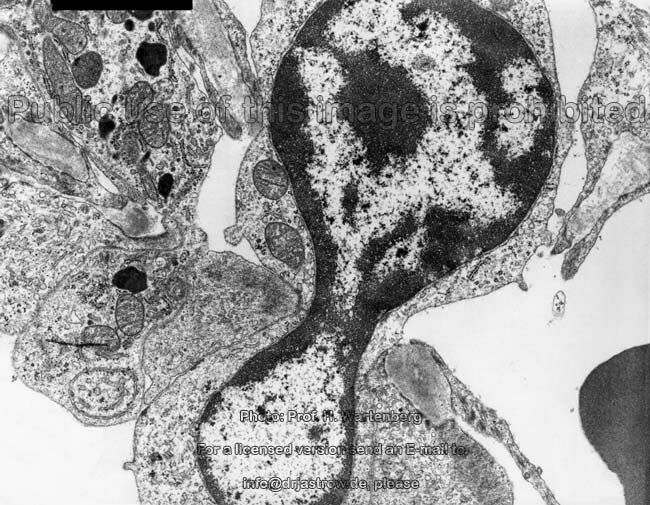 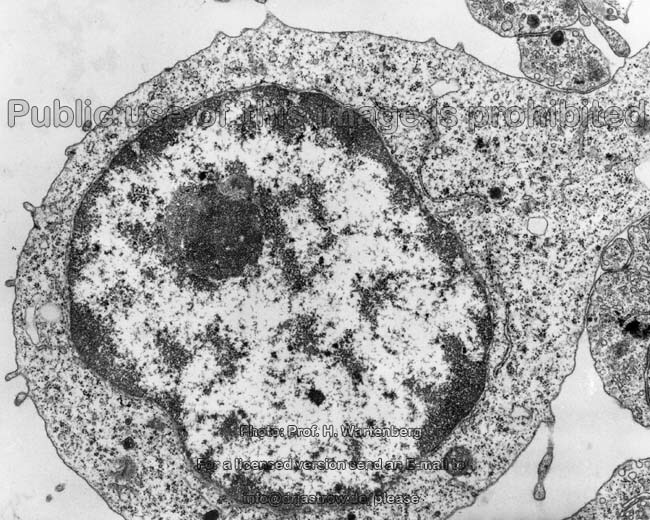 These follicles are secondary lymph follicles with less electron-dense centres (B-lymphocyte region with centroblasts and centrocytes) and attached B- and to the periphery T- lymphocytes. The red pulp mainly consists of blood vesseles and sinuses. 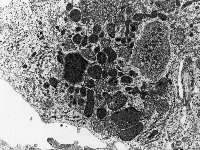 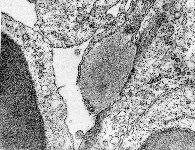 The spaces between the endothelial cells of the sinuses (dilated parts ot venols) are small and have to be passed by all blood corpuscules. 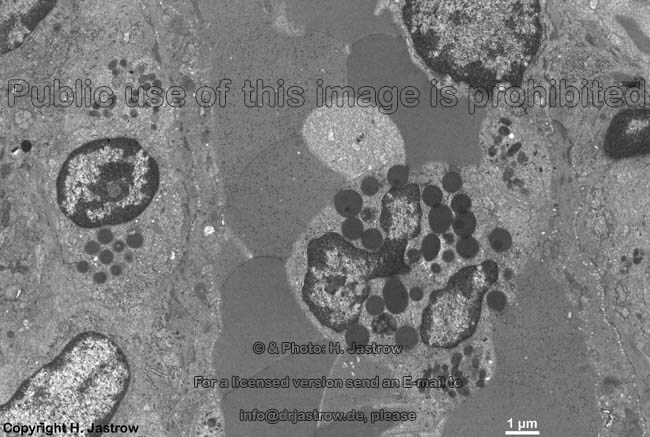 In case they are not flexible enough they are too slow and nearby macophages get the chance to grasp and incorporate them. 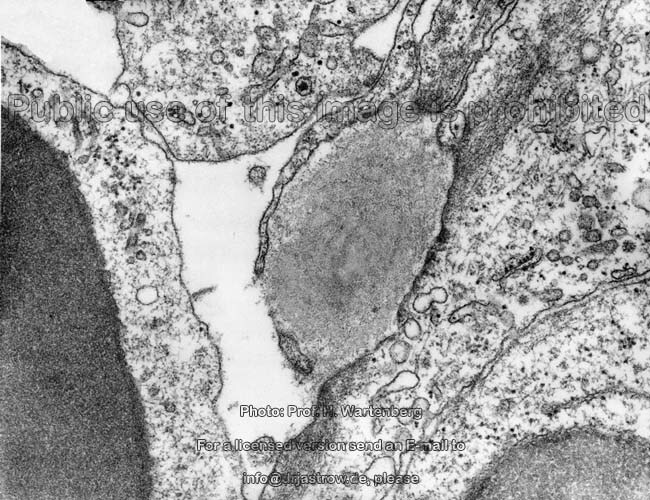 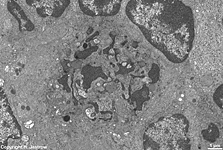 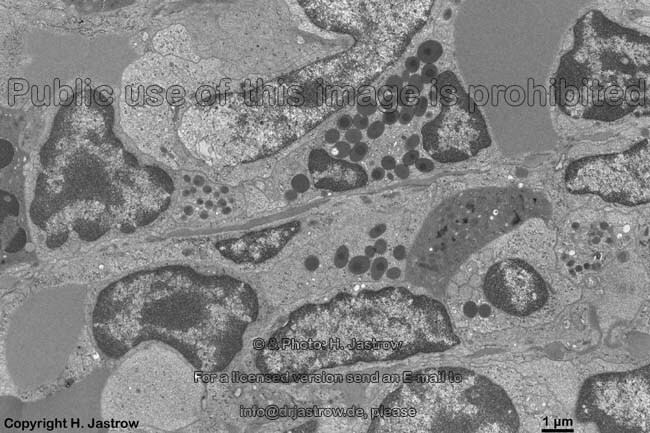 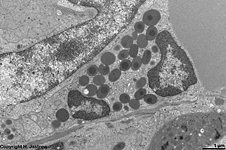 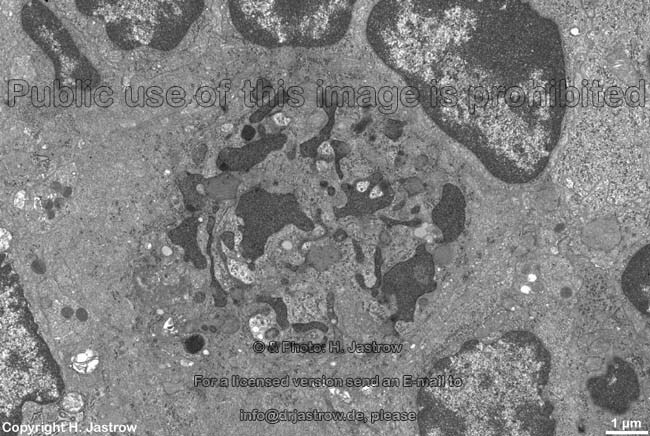 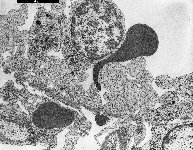 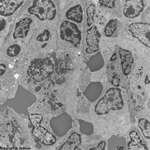 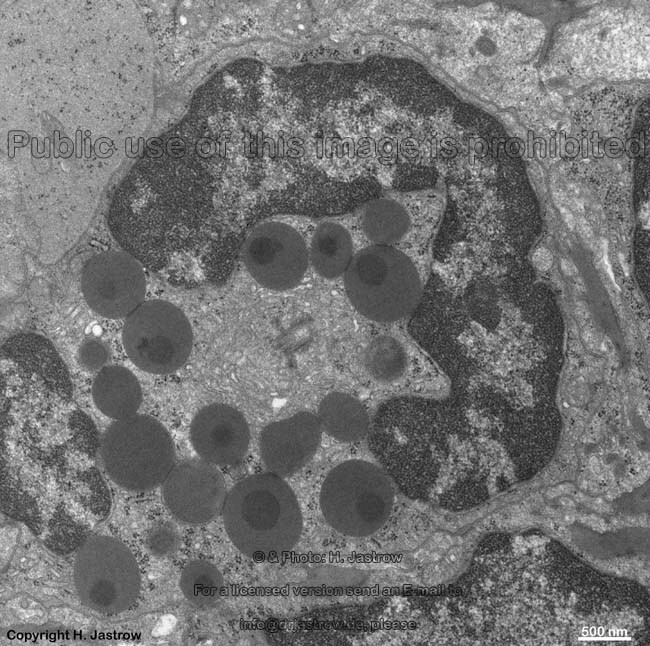 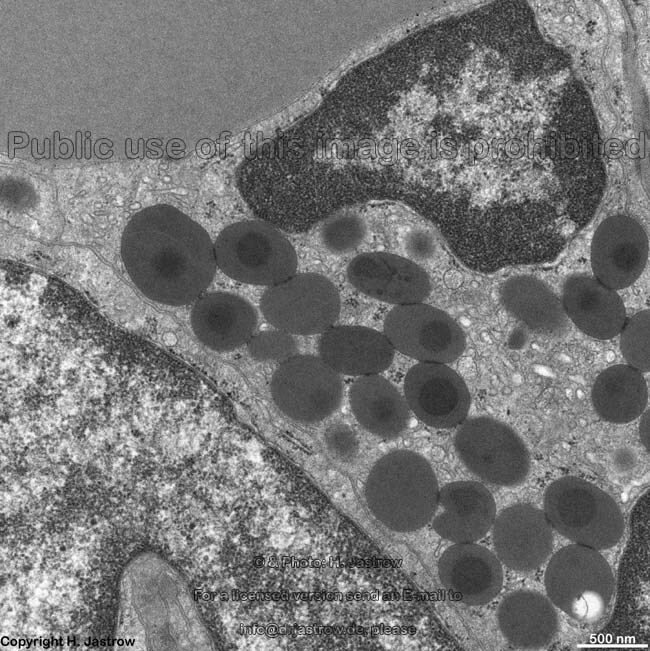 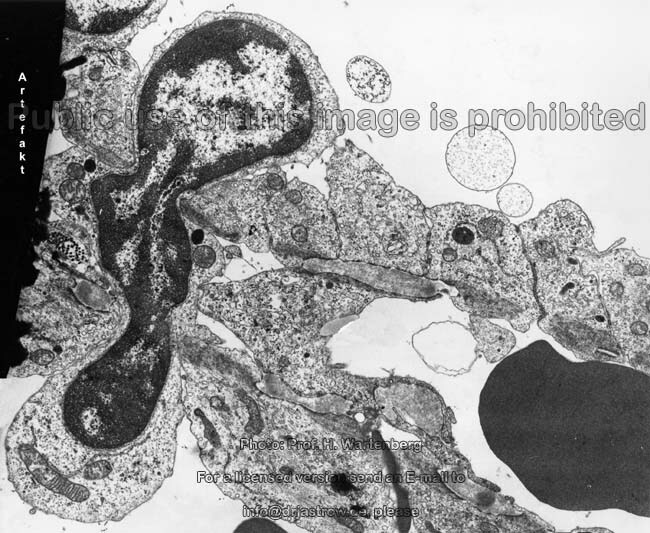 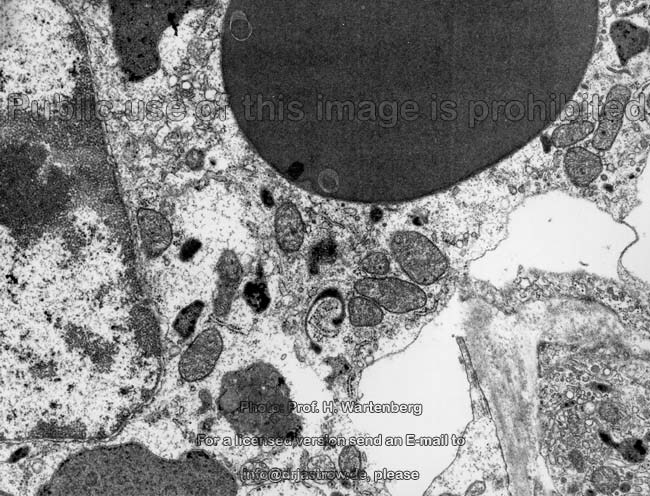 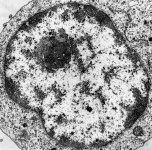 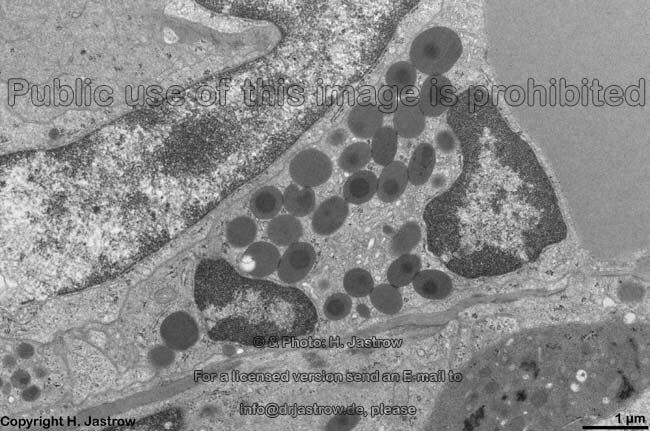 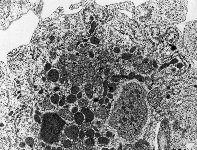 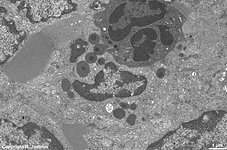 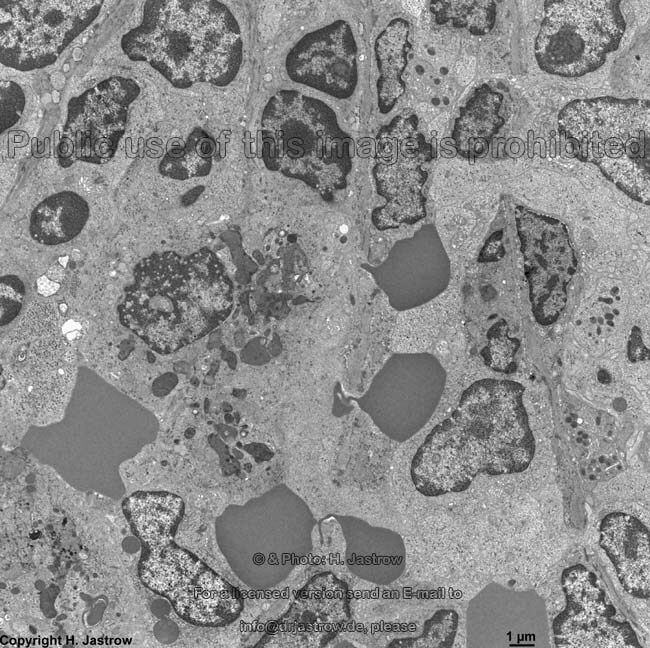 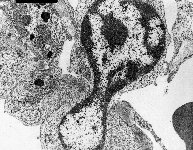 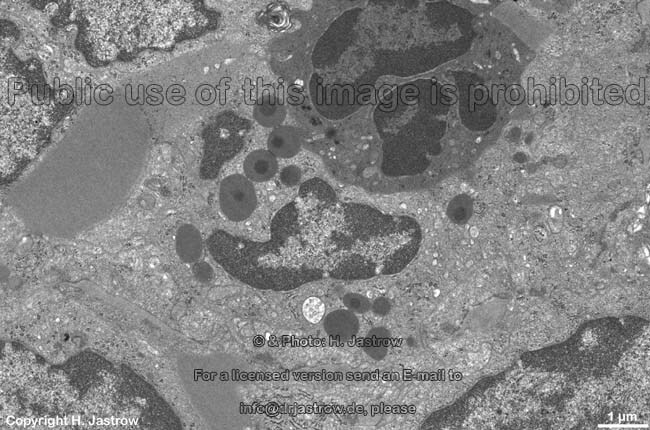 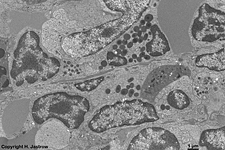 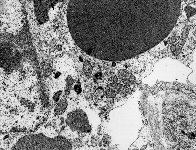 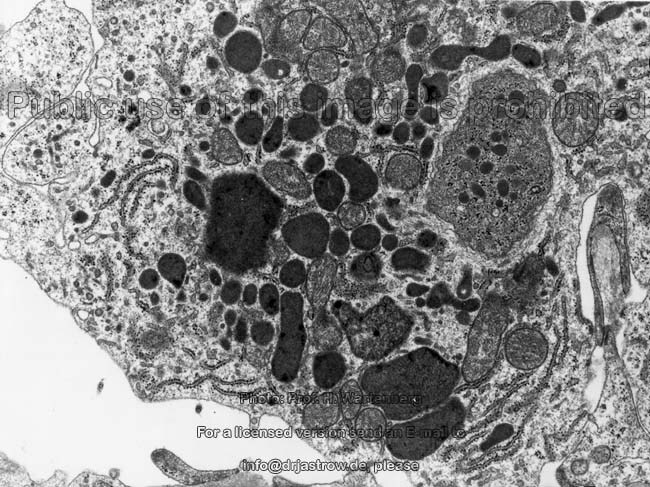 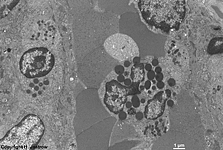 In this way old, inflexible erythrocytes are captured and destroyed in the "filter" of the spleen. 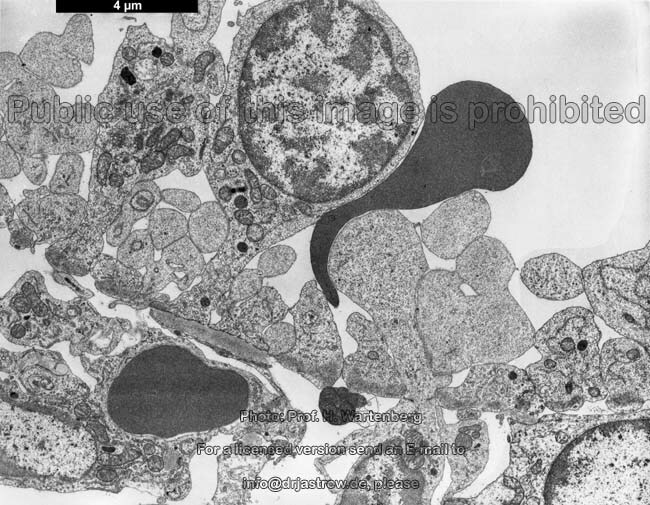 Most images were kindly provided by Prof. H. Wartenberg; other images, page & copyright H. Jastrow.